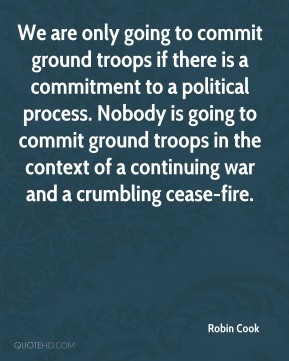 We are only going to commit ground troops if there is a commitment to a political process. 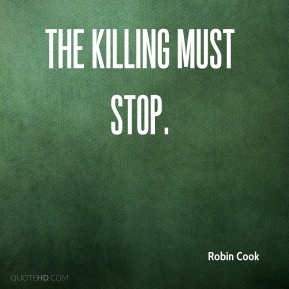 Nobody is going to commit ground troops in the context of a continuing war and a crumbling cease-fire. I welcome any move which helps bring Milosevic to justice, ... 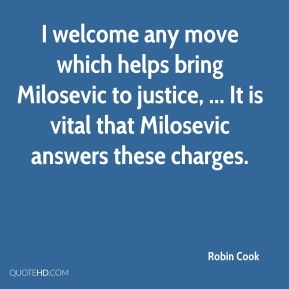 It is vital that Milosevic answers these charges. 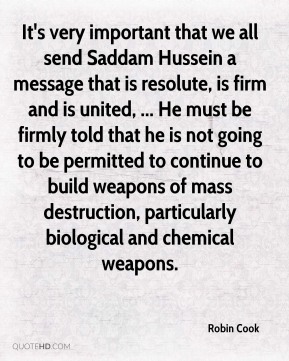 It's very important that we all send Saddam Hussein a message that is resolute, is firm and is united, ... He must be firmly told that he is not going to be permitted to continue to build weapons of mass destruction, particularly biological and chemical weapons. 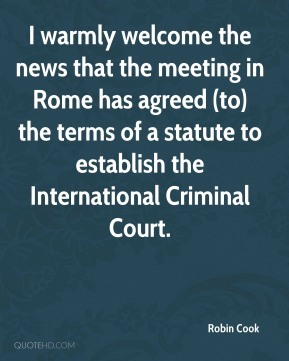 I warmly welcome the news that the meeting in Rome has agreed (to) the terms of a statute to establish the International Criminal Court. 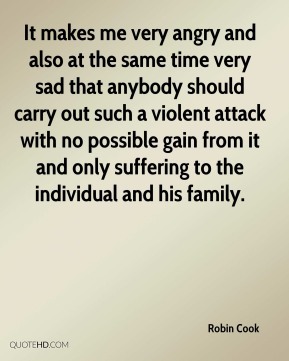 It makes me very angry and also at the same time very sad that anybody should carry out such a violent attack with no possible gain from it and only suffering to the individual and his family. 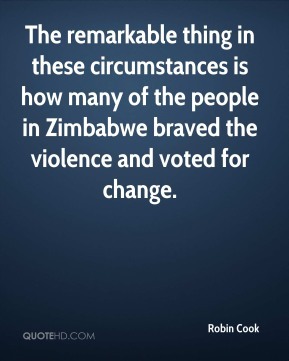 The remarkable thing in these circumstances is how many of the people in Zimbabwe braved the violence and voted for change. Almost half of them have voted for a new beginning. 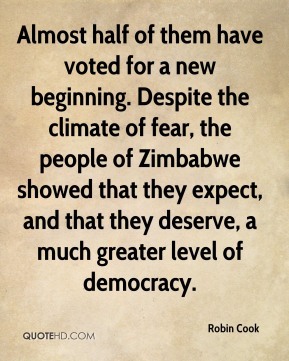 Despite the climate of fear, the people of Zimbabwe showed that they expect, and that they deserve, a much greater level of democracy. 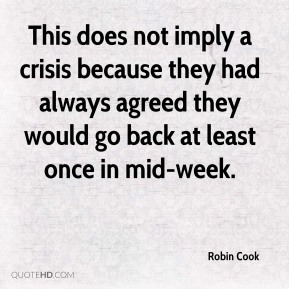 This does not imply a crisis because they had always agreed they would go back at least once in mid-week. 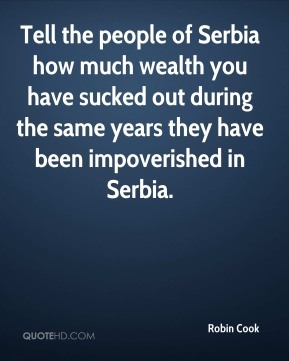 Tell the people of Serbia how much wealth you have sucked out during the same years they have been impoverished in Serbia. 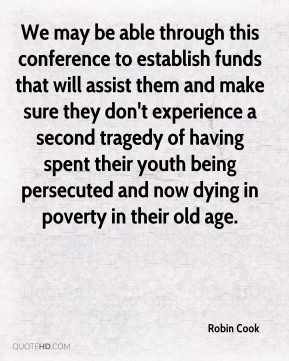 We may be able through this conference to establish funds that will assist them and make sure they don't experience a second tragedy of having spent their youth being persecuted and now dying in poverty in their old age. 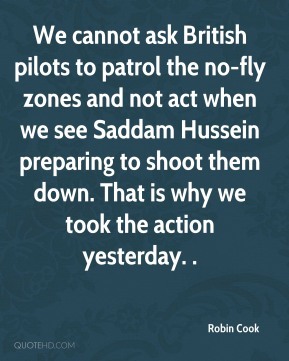 We cannot ask British pilots to patrol the no-fly zones and not act when we see Saddam Hussein preparing to shoot them down. That is why we took the action yesterday. . 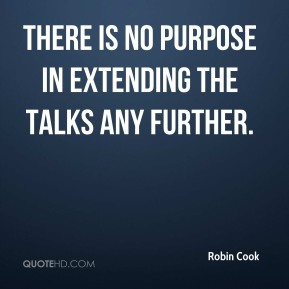 There is no purpose in extending the talks any further. 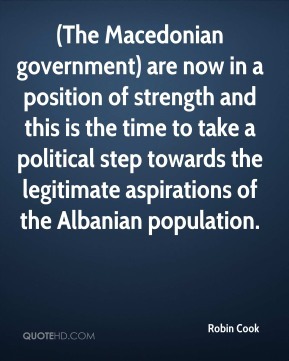 (The Macedonian government) are now in a position of strength and this is the time to take a political step towards the legitimate aspirations of the Albanian population. We want to ensure there is an end to drug trafficking and an end to the violence, ... Britain is keen to support Colombia. 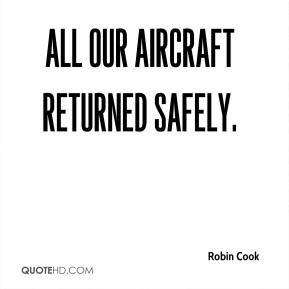 All our aircraft returned safely. 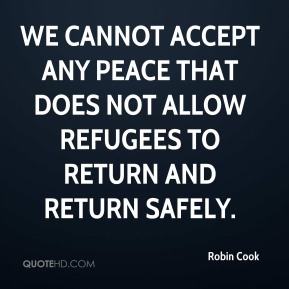 We cannot accept any peace that does not allow refugees to return and return safely. 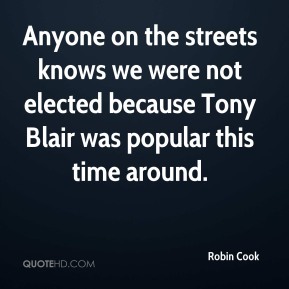 Anyone on the streets knows we were not elected because Tony Blair was popular this time around. 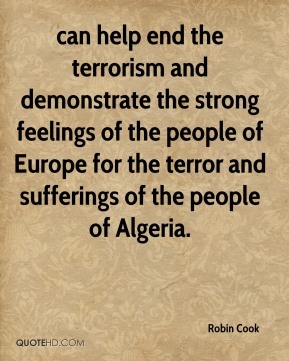 can help end the terrorism and demonstrate the strong feelings of the people of Europe for the terror and sufferings of the people of Algeria. 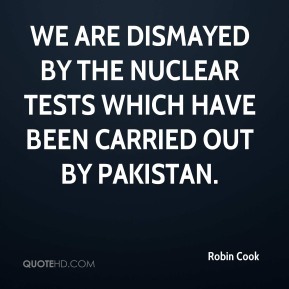 we are dismayed by the nuclear tests which have been carried out by Pakistan.